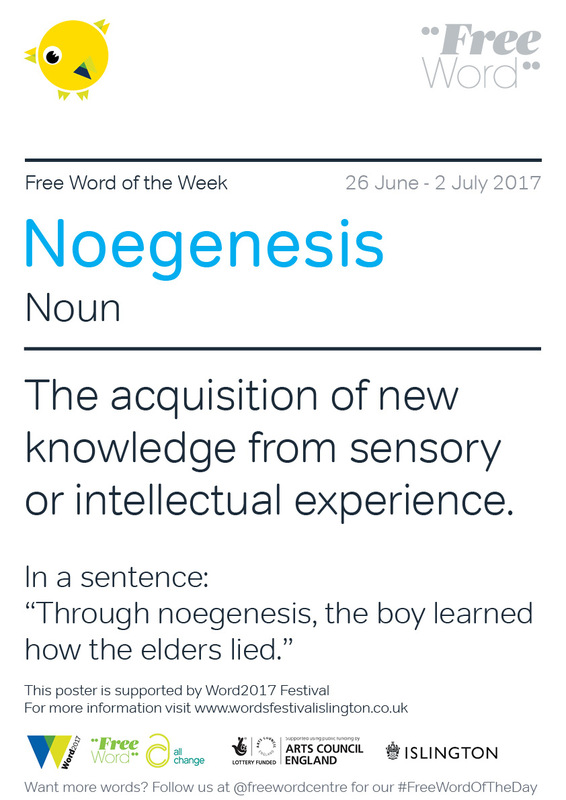 26 June 2017: Broaden your lexical horizons during the festival by spotting Free Words of the Week around the borough – or join in by putting them on display where you work! There will be a new word for every week of the festival tying into its wellbeing themes. Go to https://www.freewordcentre.com/free-words to find out more and to sign upfor weekly posters.